Putting a new front door on your home is the best way to give your entryway a facelift. It is quick, easy, and inexpensive. When updating your entryway it is important to find the best option for your home. With these tips, you can find the best door to invest in and make your home look like new. Wood: Wood front doors can add a naturally warm and inviting feel to your entryway. However, they are less energy efficient and tend to be costly. Steel: Steel front doors come in many styles and can be painted to any color. They are also more energy efficient and tend to be less expensive as wood doors. Fiberglass: Fiberglass can be designed to resemble wood, but will be more energy efficient, low maintenance, and durable. However, the prices can vary from inexpensive to expensive. Taylor Door Co. is your No. 1 resource for all things doors. 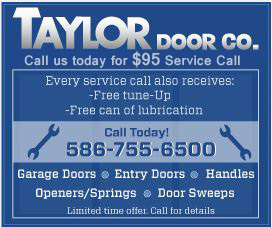 When looking for the perfect new front door, or even a new garage door, Taylor Door can help you! We are the best in the business in door service and repair. Get your Michigan-made door from Taylor Door Co. for the most stylish, durable and affordable addition to your entryway. 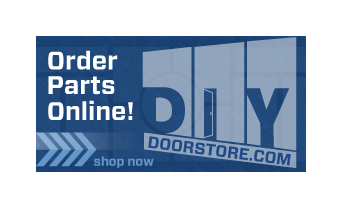 Set up your appointment today and call 1-800-NEW-DOOR for a FREE quote!